The meeting conveyed its “admiration of their splendid fight against overwhelming odds in defence of their homes, of the conditions established in their country, and of their national culture. It notes that the Labour and Trade Union movements in Finland and all the surrounding Scandinavian countries have expressed their solidarity with the Finnish people and their detestation of the present unprovoked aggression. Trotsky replied on 19 February, “Thank you cordially for your warm letter of solidarity. I enjoyed it the more that, in this period of terrible chauvinistic pressure in almost all the countries of the world, sincere and consistent socialist voices are rather an exception.” Five months later Trotsky was murdered by one of Stalin’s agents. Walsh, who had cut his teeth as a militant in the IWW in the US during the early 20th-century, was rapidly moving rightwards. By 1951, he would sell out the wharfies in their epic battle against the government. Walsh was already an irredeemable bureaucrat in 1939. He was never likely to play a progressive role in politics, and his correspondence with Trotsky is more of a historical curiosity than anything else. What is important, though, is that the resolution was moved discussed and voted for at a meeting of rank and file workers at a crucial point in history. As such,the record of the seafarers’ position stands as a tantalising glimpse of the “Third Camp” politics that might have been in Aotearoa. That’s the main point indeed and well spotted. What is the last time there was, in New Zealand, a mass meeting of hourly rated employees discussing and resolving a significant political issue like that? The waterside workers have now, to a large numerical extent, been displaced by modern machinery. Their political legacy remains for all who care to respect and learn from it. 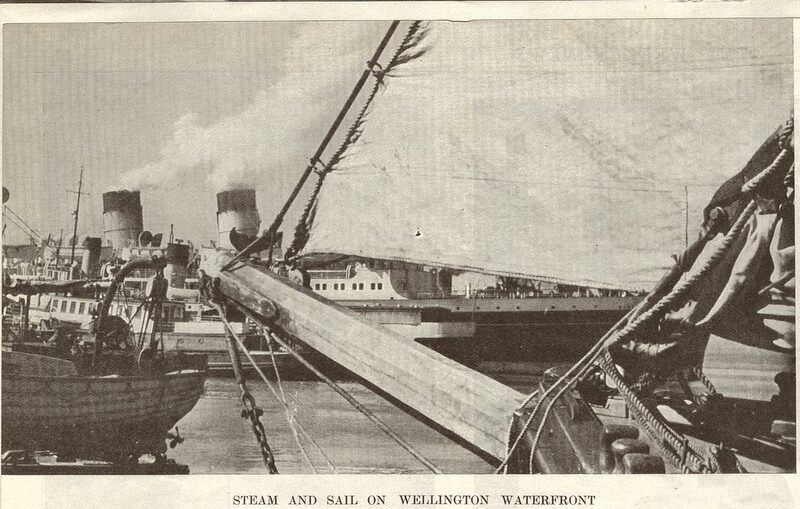 First of all in their present struggle for union jobs on the port of Auckland. Secondly in their indelible history of militant imperialist defiance. One of my first political memories was a mass anti Vietnam war rally in Wellington, where we assembled in Bunny street to march through town. The evening skies darkened and our ranks swelled, the time for marching was about 7pm, when that time passed someone called out when do we move off? We were waiting for the wharfies. Soon after seven, they arrived, in a body. A number of about two hundred men, mostly older, mostly thickset looking people ,all of them looking grey in the evening dust. Together they gave a reassuring injection of stability to our march. When the wharfies had formed up at our rear, we stepped off. The point of me relating that is that those wharfies had not come as individuals who felt like making an individual statement. They had arrived en mass by virtue of a stop work meeting resolution from their regular meeting. Such a working class solidarity tradition does not prevail in New Zealand at the moment but will surely come again. While I’m here, for out of towners, Bunny street is a short street just across the road from Wellington’s wharves. For many years we used it as an assembly point for launching leftist demonstrations.